Speaking at Reboot Develop yesterday, creative director and Warhorse co-founder Dan Vavra revealed how the game went from a scrappy idea dreamt up in a pub, to a million-selling new IP. Using history and storytelling, Vavra said he would pitch the game to publishers and investors by referencing Rockstar’s classic western. Vavra said the initial concept was to make a historical RPG with realism that focused on everyday tasks. “The game is more necessarily slow paced because if you want to make something realistic it takes more time to do than it does in the movies,” he said. “We wanted to make fetch quests as fun as possible. I wrote an ambitious quest for the other writers to follow. And I had to find experts. Because history is surrounded by myths from Hollywood, which make it ridiculous. Daily life details are the most complicated,” he added. Vavra tried to get funding for the game and studio as far back as 2009, when no one believed consoles would have a future, and he exhausted all avenues, from investors to more shady businesses. “We met with some very suspicious guys who had too many horses and cars. Nobody knew what was coming to consoles. No one believed in consoles,” he said. When the studio was eventually founded in 2011, Vavra said he had just $500 left in his bank account. Although the studio was independent, Warhorse’s ambitions were far from ‘indie’, looking towards Red Dead, Far Cry, The Witcher, Assassin’s Creed and Skyrim as inspiration. Once a demo was in place, Vavra and his team began pitching to get a publishing deal in 2013, when the game was codenamed 1403: Retribution. 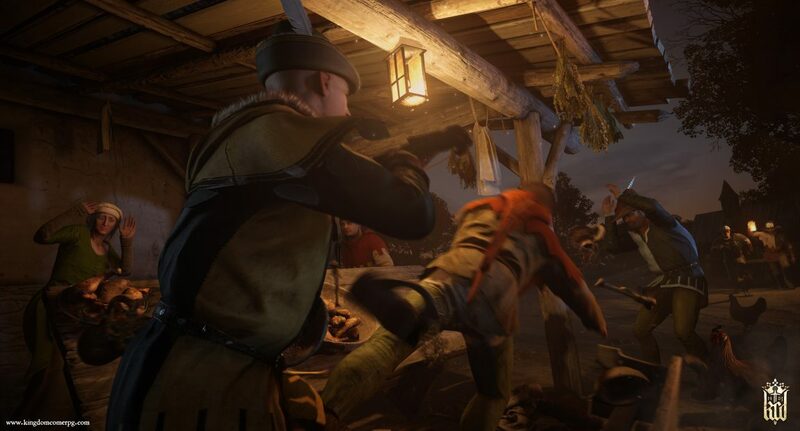 It was a drawn out process, and with no publishers willing to back the RPG, Warhorse eventually turned to Kickstarter, a move which got Kingdom Come: Deliverance a lot of interest from the press. “We were on the front pages of all the mainstream media the moment we made out Kickstarter campaign,” he said. At that point the pressure to deliver was on: “We have to make the game in 18 months otherwise it’s a big problem. 48 months later we finished the game,” he said. Vavra and his team of ten writers spent 20 months writing the game as part of the two year delay in production, missing the intended Q4 2015 release. 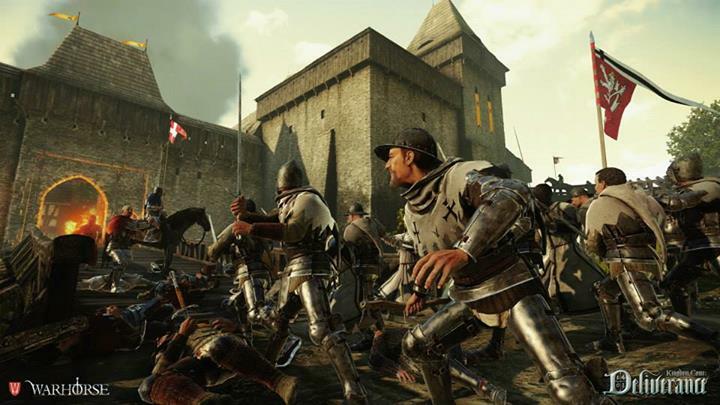 Kingdom Come: Deliverance launched this year surrounded by controversy, and riddled with bugs, many of which were quest-breaking. “This is the biggest issue I’m not proud of,” said Vavra. “Bugs are extremely hard to test. He said Warhorse is working on patching a majority of bugs, “taking our time to do the patch properly,” and promised that there would be more content for Kingdom Come, as well as making the game stable and offering better mod support. One thing is still up in the air, though: whether the game will change its awkward lock-picking mechanic. 30 percent of players are unable to lock-pick, according to Vavra.